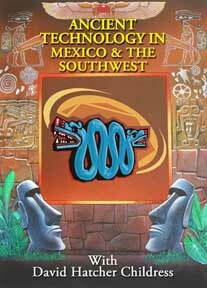 In this fourth installment in the Ancient Technology series, join David in northern Mexico and the American Southwest as he searches for evidence of high technology in the ancient past. Going to ancient cities, pyramids and megalithic sites, David and friends examine evidence of mind-blowing ancient technology! David and his team check out the ancient cities around the Grand Canyon and the alleged Egyptian catacombs, investigate the ancient concrete canals in central Arizona and continue to the megaliths of the ancient Toltec capital, Tula, and the pyramids at Teotihuacan and end up inside the Great Pyramid of Cholula. Extra features. All our DVDs are Valid in All Regions and All Countries!